CRERDEC Center Head, Dr. Alicia L. Lustica (above, left photo) joins DENR 7 officials in the DENR 7 1st Management Conference at Trinidad and Getafe, Bohol last February 12-13, 2019. Above, right photo is Dr. Lustica with ASEC Marcial Amaro, RED Gilbert Gonzales together with DENR 7 officials and staff during a site visit at the Banacon Island Mangrove Plantation in Getafe, Bohol. 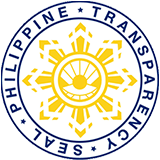 The Department of Environment and Natural Resources (DENR) in Region 7, will strengthen the protection and conservation measures of the famous tourist destinations in Central Visayas, particularly the Panglao Island in Bohol and the Oslob Whale Shark Watching in Oslob town, Southern Cebu to avoid problems experienced by Boracay Island. DENR 7 Regional Executive Director Gilbert Gonzales stressed the need to conduct a Carrying Capacity (CARCAP) assessment in Panglao and Oslob to identify how many visitors can be accommodated in the said tourist destinations without harming the environment. He disclosed such concern during the DENR 7 first Management Conference held at Trinidad and Getafe, Bohol last February 12-13, 2019. Hence, Director Gonzales sought the technical assistance of the DENR Research team in the Visayas, the Coastal Resources and Ecosystems Research, Development and Extension Center (CRERDEC), to prioritize CARCAP implementation of said sites. CRERDEC Center Head, Dr. Alicia L. Lustica during the conference affirmed CRERDEC’s support and agreed to further strengthen cooperation and technical assistance towards fulfilling DENR’s goals and program for restoration, rehabilitation and development. Dr. Lustica assured Director Gonzales to relay said plans to the officials of the Ecosystems Research and Development Bureau (ERDB). Apart from the conduct of CARCAP, Director Gonzales also highlighted other matters that significantly needed support and technical assistance from CRERDEC. These undertakings include the Documentation of Success Stories of R7’s Watershed Reforestation Projects; Preparation of the Watershed Management Plan; Assessment of the existing 700 ha. Bamboo Plantation; and the Conduct of Research Studies in the existing 1,175 ha. Mangrove plantation in Banacon Island, Bohol. Said projects will involve implementation of activities with DENR 7 staff, either jointly or separately but cohesively. Meanwhile, Dr. Lustica also shared her message, responses, and inputs during the Community Environment and Natural Resource Office (CENRO) Talibon briefing and presentation of environmental issues and concerns. Interactions among DENR 7 officials during the briefing provided an opportunity for exchanging views on strengthening collaboration and focusing on resolutions of issues and concerns at hand.